The Student Switch Off is expanding in Ireland! This site is one of several around Europe encouraging students to save energy, save money and help save the planet. You'll find out more about the programme and how to take part, whether you're on campus or living away from college. 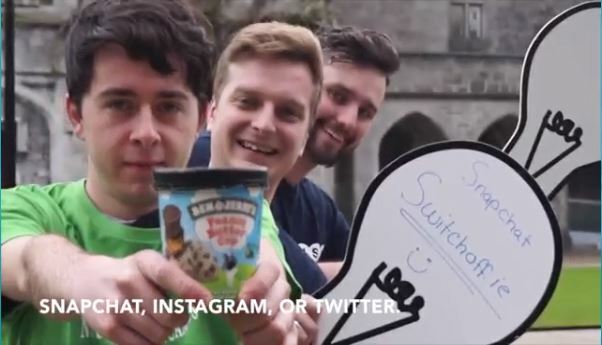 Irish students are switching off to save money and the planet! Oh, and this many photographs have been taken too!